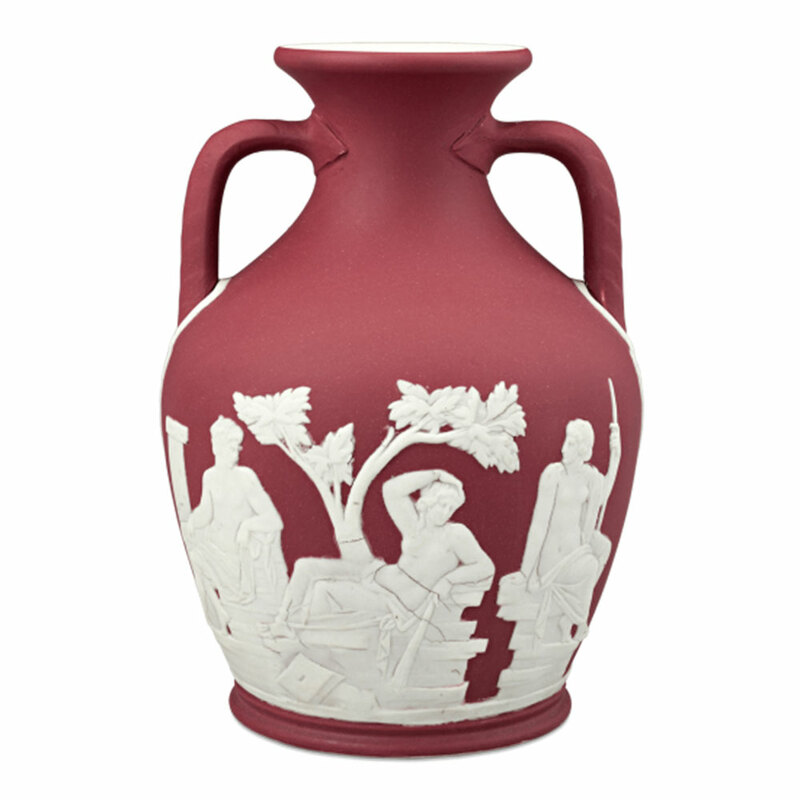 Josiah Wedgwood is renowned as the founding father of the British pottery industry because of his pioneering production processes and marketing genius. 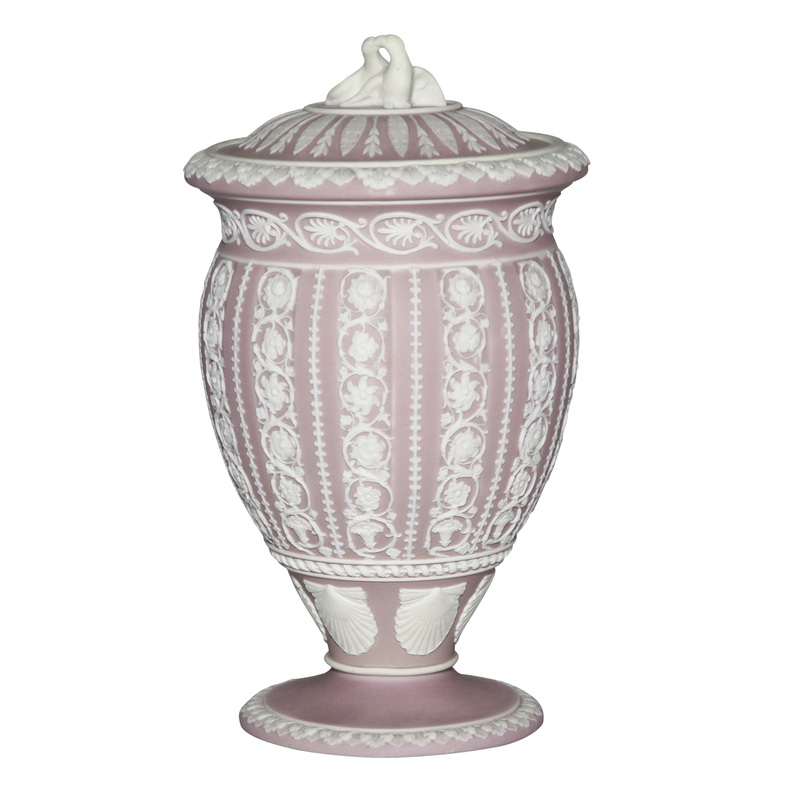 His innovative designs appealed to the fashionable elite of the 18th century, who shopped at his prestigious London showroom for their tableware and ornamental vases to enhance their homes. 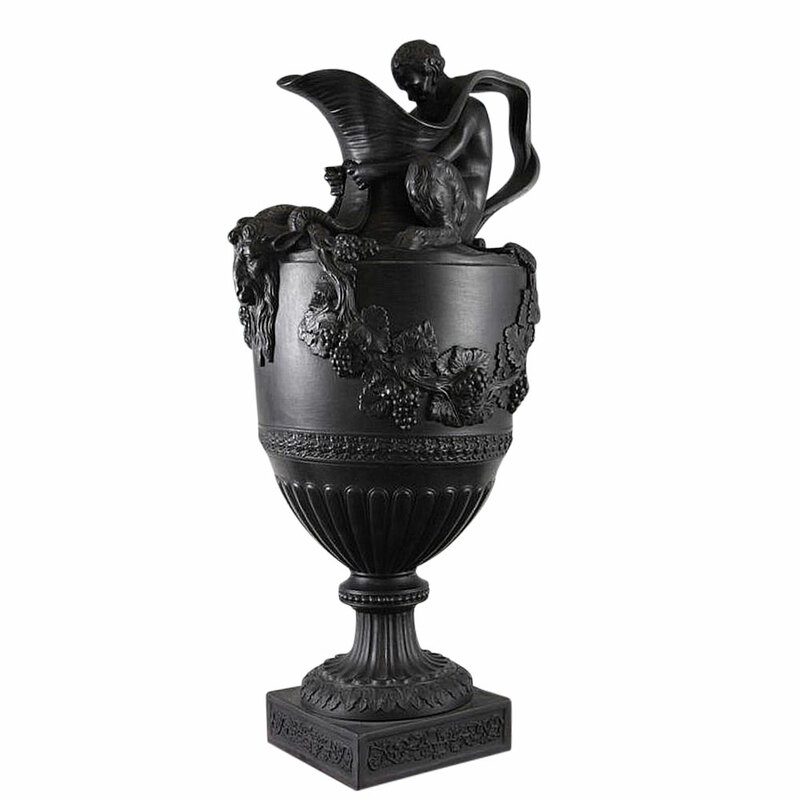 The prevailing style of interior decoration was Neo-Classical, derived from the arts of Greece and Rome and inspired by connoisseurs returning from the Grand Tour of Europe. 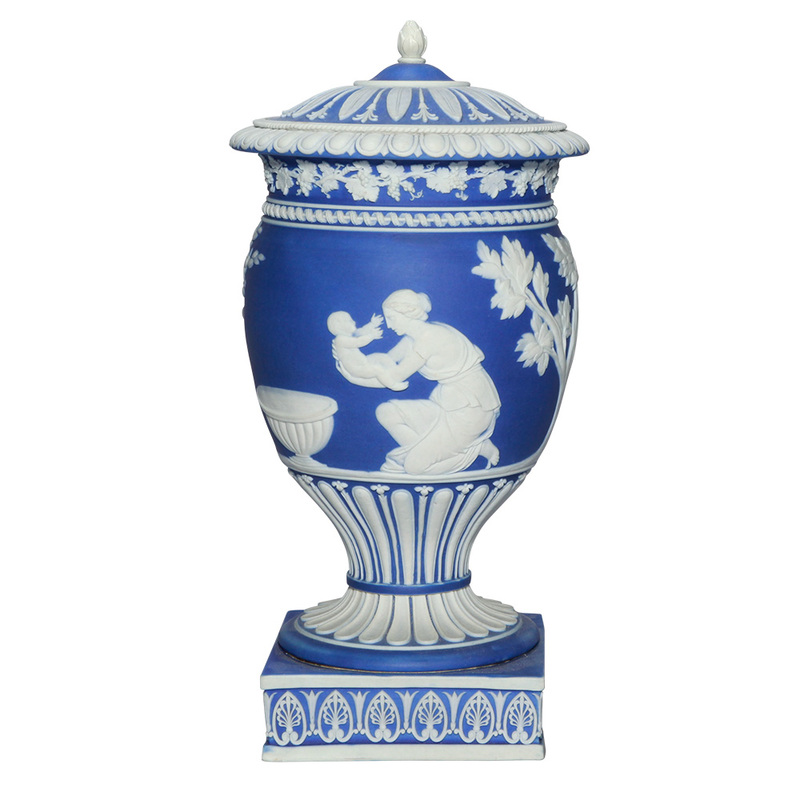 Wedgwood’s famous Jasperware urns and vases, adorned with mythological figures, were perfect for the stylish interiors of the period. 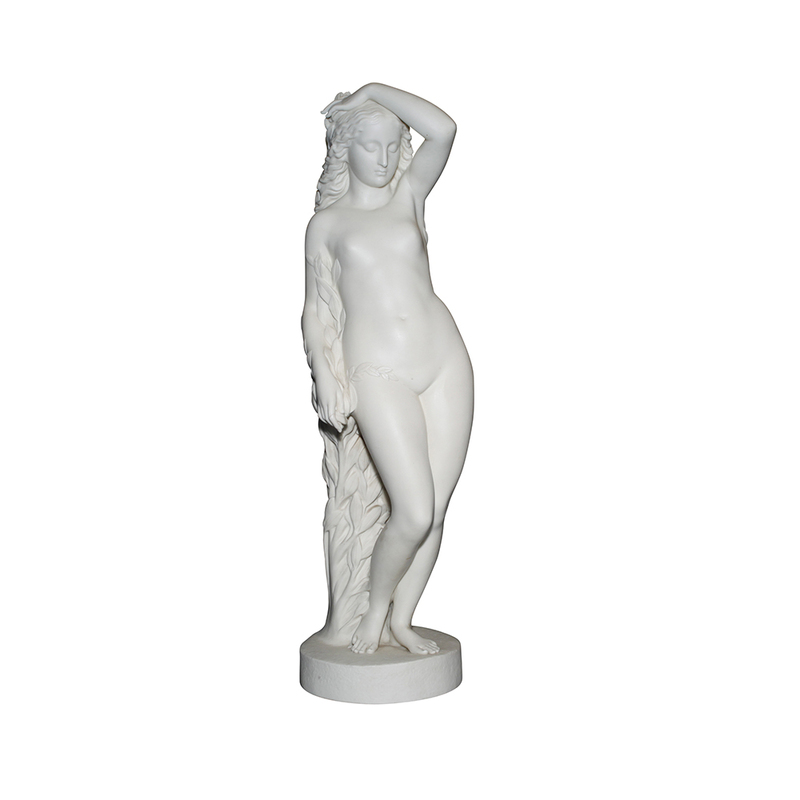 Matte white porcelain statues of Greek gods and goddesses were ideal as Neo-Classical décor. 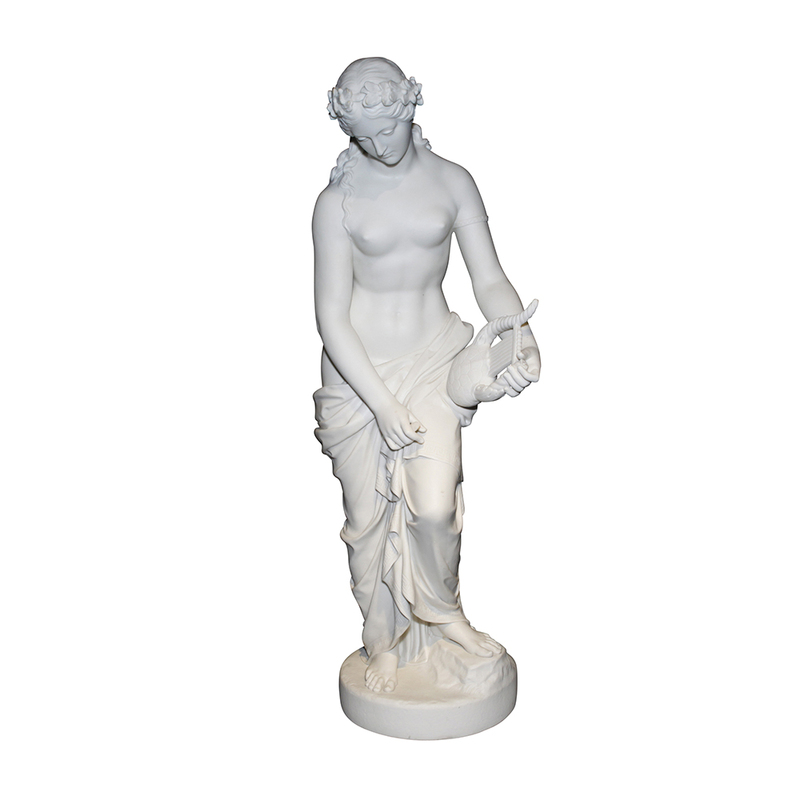 Known as Parian Ware, the slip-cast porcelain took its name from the marble quarried in Paros, Greece and was developed initially by the Minton and Copeland factories in the 1840s. 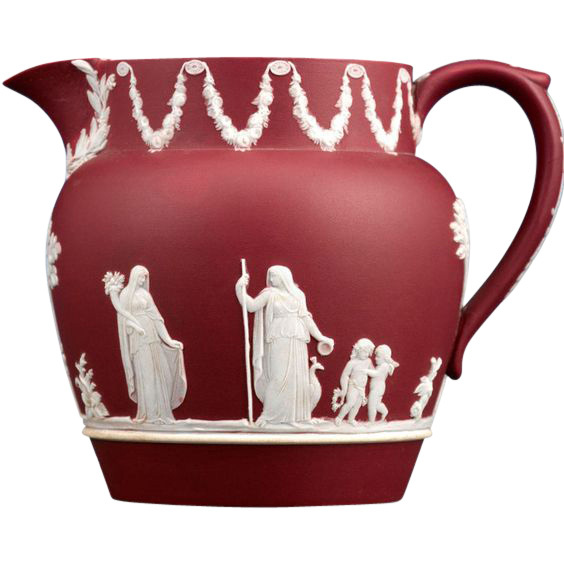 Wedgwood followed with Carrara Ware, named after the Italian marble. 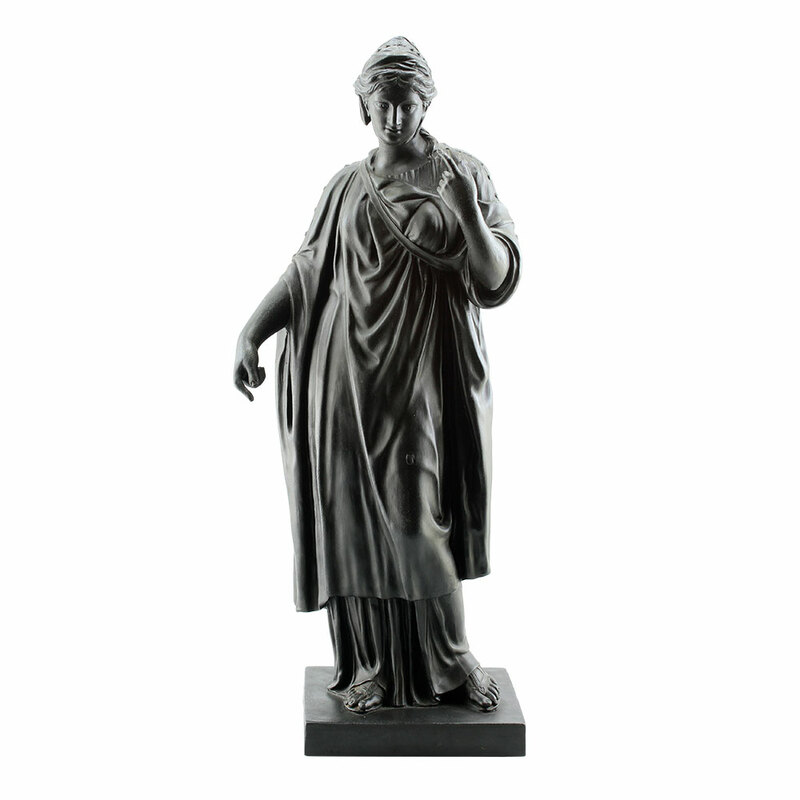 Reproductions of sculptures from antiquity could be made with the aid of Cheverton’s newly invented reducing machine, and original designs were commissioned from distinguished sculptors of the day. 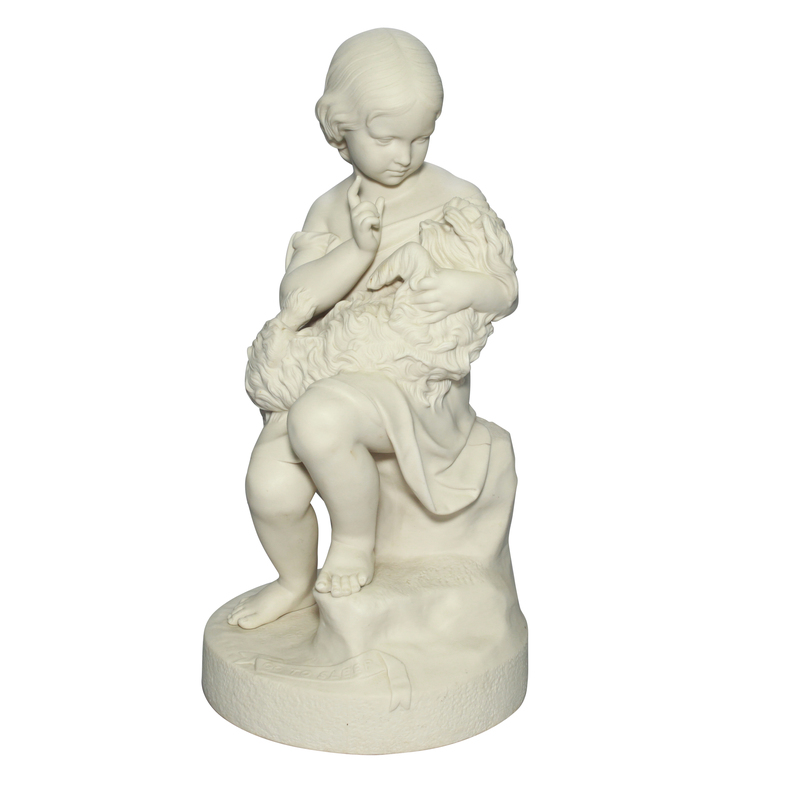 The Parian phenomenon made sculpture widely accessible just as engraved prints replicated famous paintings. 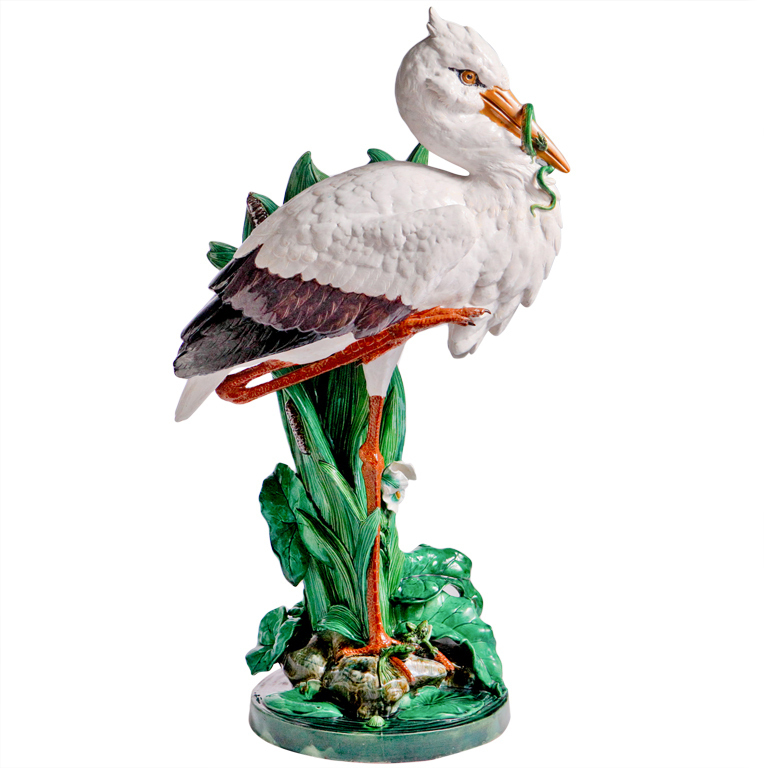 Similar subjects were reproduced in Majolica Ware, named after Italian Maiolica pottery from the Renaissance period. 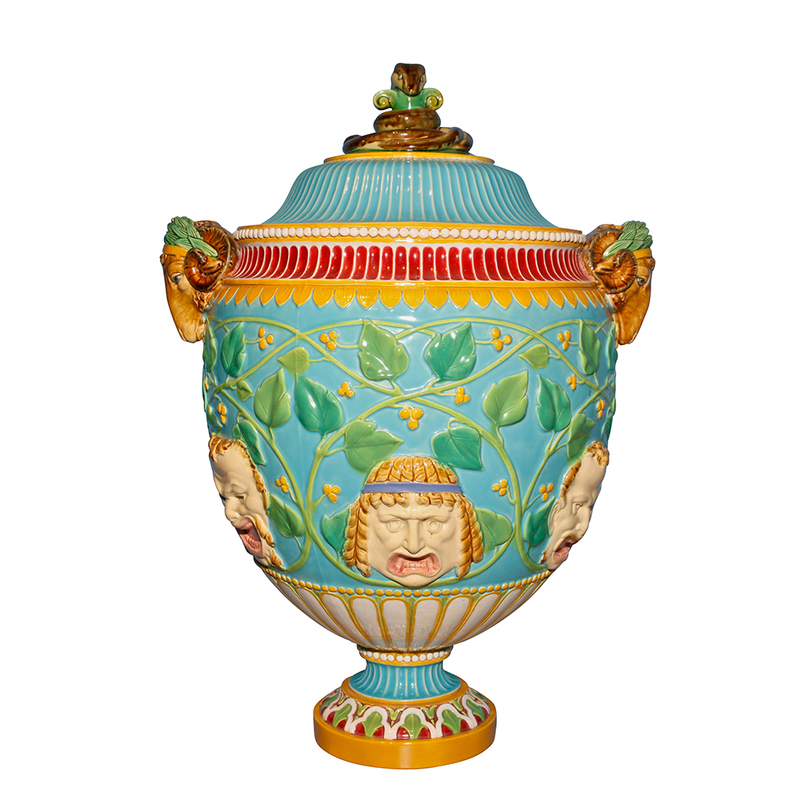 New, colored lead glazes were perfected by the Minton factory and launched at London’s Great Exhibition of 1851. 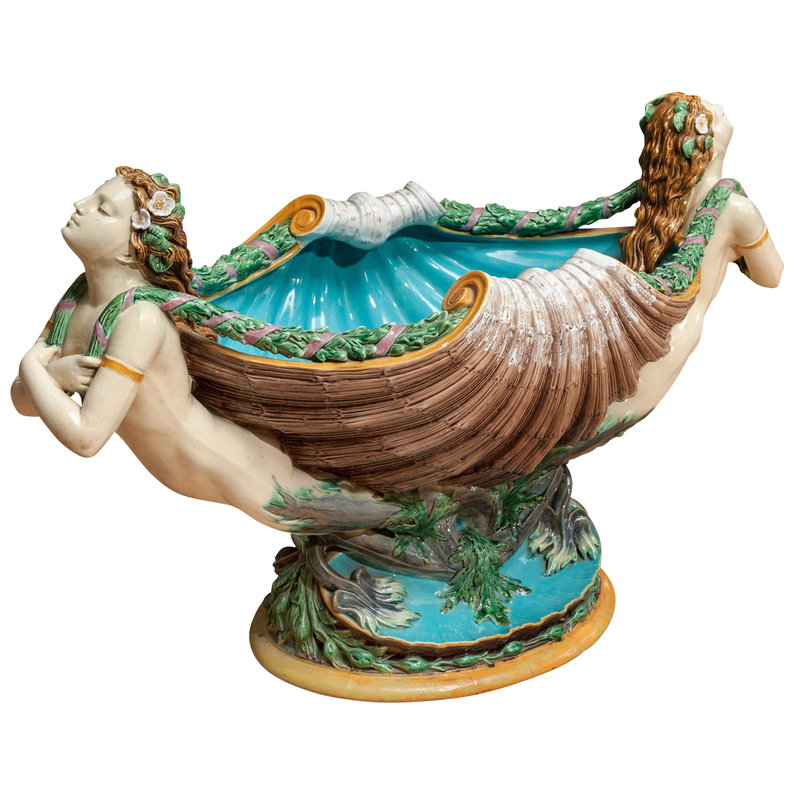 Victorians were so captivated by the bold modeling and brilliant glazes that Wedgwood, George Jones and other factories quickly followed with their own designs. Majolica mania triumphed in late 19th century homes with tureens, oyster plates, fruit bowls and cheese domes to grace the dining table. 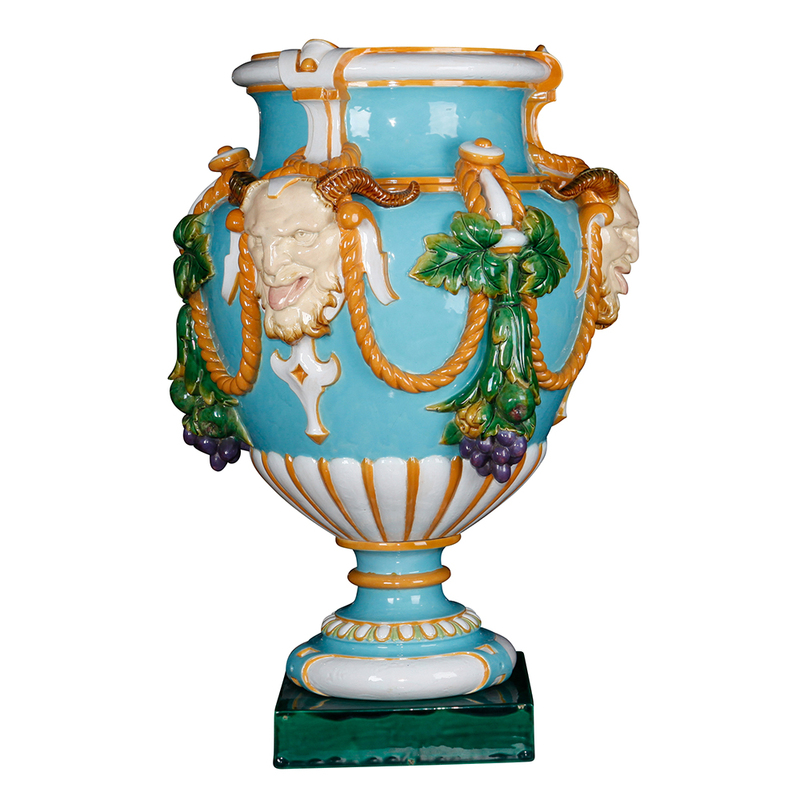 Candlesticks and wall sconces lit up the parlors while jardinières, flower vases and garden seats rivaled the abundance of nature in Victorian conservatories.